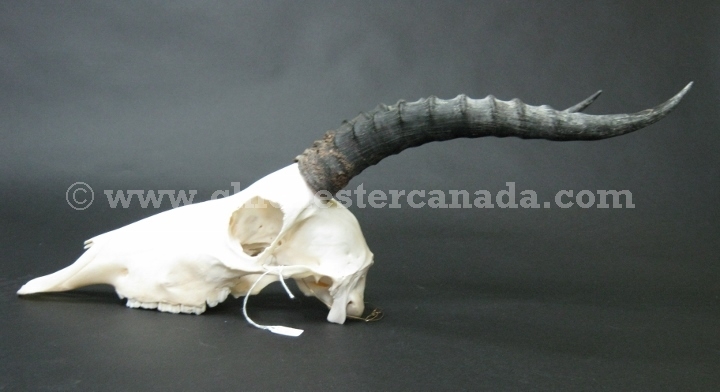 We have a limited number of cleaned blesbok skulls with horns. Blesbok are a South African antelope. They have a distinctive white face. See the gallery below for available blesbok skulls. Genus and species: Damaliscus pygargus phillipsi. Wild. Blesbok are not endangered and are not subject to CITES controls.